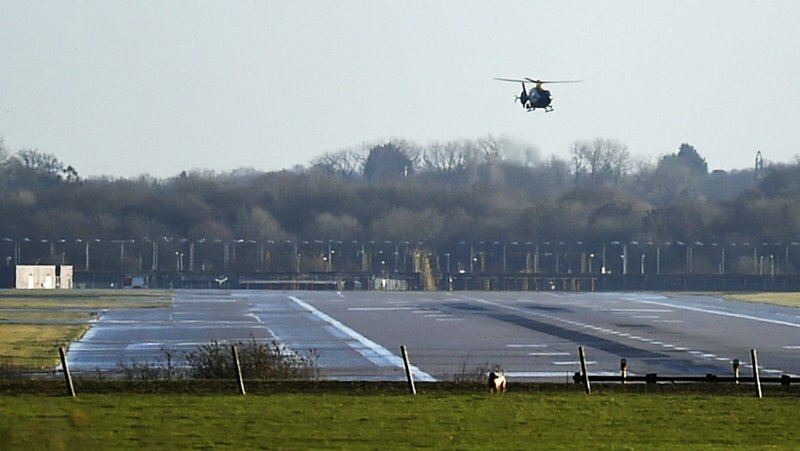 LONDON (AP) — Thousands of passengers were delayed, diverted or stuck on planes Thursday as the only runway at Britain’s Gatwick Airport remained closed into a second day after drones were spotted over the airfield. Chris Woodroofe, Gatwick’s chief operating officer, said that roughly 10,000 people had been affected by the shutdown by Thursday morning — 2,000 whose planes were unable to take off from Gatwick, 2,000 stuck at their points of origin and 6,000 diverted to other airports in Britain, as well as Paris and Amsterdam. Woodroofe said at least one drone remained in the area Thursday morning. “As I stand here, there is a drone on my airfield as we speak,” Woodroofe told Sky News.